Her works have been performed by distinguished orchestras and ensembles worldwide including the BBC Symphony Orchestra, Los Angeles Philharmonic, Baltimore Symphony Orchestra, Utah Symphony, Netherlands Radio Symphony Orchestra, Finnish Radio Symphony Orchestra, Norwegian Chamber Orchestra, Orchestre Philharmonique de Radio France, Kronos Quartet, Brodsky Quartet, BIT20 Ensemble, among many others. Various choreographers and dance companies, including Wayne McGregor and Nederlands Dans Theater, have often featured her music. In recent years, she has received numerous commissions from, most notably, Radio France, the Canada Council for the Arts for Eve Egoyan, the Arts Council of England for Brodsky Quartet, the BBC Symphony Orchestra conducted by Kazushi Ono, the Michael Vyner Trust for the NHK Symphony Orchestra conducted by Esa-Pekka Salonen, Jane Dutcher for Joan Jeanrenaud and the Berkeley Symphony Orchestra conducted by Kent Nagano, and the National Endowment for the Arts for the Rochester Philharmonic Orchestra conducted by Peter Bay. Her love of nature and concern for the environment has influenced many of her works, including Frozen Horizon, Water and Stone, Invisible Curve, Dreamscape, Tales of Trees, Crystalline and Questions of Nature. Born in Tokyo, she started formal piano and composition lessons as a child. After studying composition with Akira Miyoshi at Toho Gakuen School of Music in Tokyo, she moved to Paris in 1986 with the aid of a French Government Scholarship to study with Tristan Murail and work at IRCAM. In 1987 she was awarded the Gaudeamus Prize at the International Music Week in Amsterdam for her piano concerto Anamorphose. She studied with Luciano Berio in Florence in 1990-91 with funds from the Nadia Boulanger Foundation and a Japanese Government Scholarship. In 1996, she received the Margaret Lee Crofts Fellowship at the Tanglewood Music Center. In 1998 she was appointed as Co-Artistic Director of the Yatsugatake Kogen Music Festival, previously directed by Toru Takemitsu. Her music has been selected for performance for eight times at the ISCM World Music Days Festivals. In 2012, she was selected as a fellow of the Sundance Institute’s Composers Lab for feature film and mentored by Hollywood’s leading composers. Recently, she served as Lead Orchestrator for the BBC's TV series, Planet Earth II. Her music is published by Chester Music in London (Music Sales), Schott Music in New York (PSNY), and Editions BIM in Switzerland. 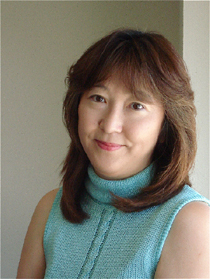 Karen Tanaka lives in Los Angeles and teaches composition at California Institute of the Arts.